I will admit that in the past I haven’t exactly given organic products a fair try. I never quite understood what the fuss was about. That’s over now. I’m quickly learning you get what you pay for! 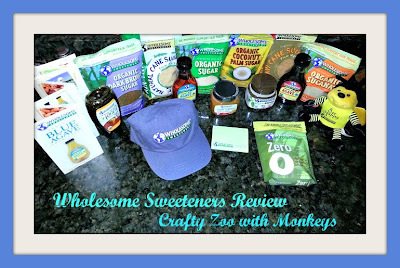 I had the privilege of trying out the above selection from Wholsome Sweeteners and I am a changed person! I LOVE these products! They really do taste different, better, than their non-organic counter parts. To tell you the truth, I’m a little shocked. Not because they are good, but due instead to the massive taste difference! This morning, I tried the Organic Zero Calorie Sweetener in my coffee (AKA brown sugar water: the dark version) along with my normal flavored coffee creamer. Typically, I have it with real sugar but thought I’d try this one out. I have to admit, it’s actually better than sugar! I know, I know, it’s not easy to believe! I swear it’s true though! It sweetened my coffee the way I like it (a tad thinner than syrup, LOL) with way less than what it normally takes! Of course, there are no calories so it is beating out sugar by a mile! Many artificial sweeteners have that terrible aftertaste or simply make your drink taste slightly different than it would with sugar. Not an issue with this one! According to this site, sugar has 16.3 calories while Zero Calorie Sweetener has less than a half calorie with the a serving a little larger (about 2 grams larger)! Do you remember the first time you truly tasted honey? Especially if it was fresh!?! I can’t say that I remember it, but I can say that when I tasted the Fair Trade Organic Honey, I think that has to be what it was like. The rich, meaty, sweet taste is absolutely amazing! I’m not sure I can say much more than that! One thing I had never had before was Agave. I was a little nervous about trying it, since I’m a big chicken but gave it a chance anyway *such a brave one I am LOL* and it was really good. I used it in a loaf of bread that originally called for honey and it was fantastic! I am not sure if I’m proud or ashamed, but we ate the entire loaf in two days! 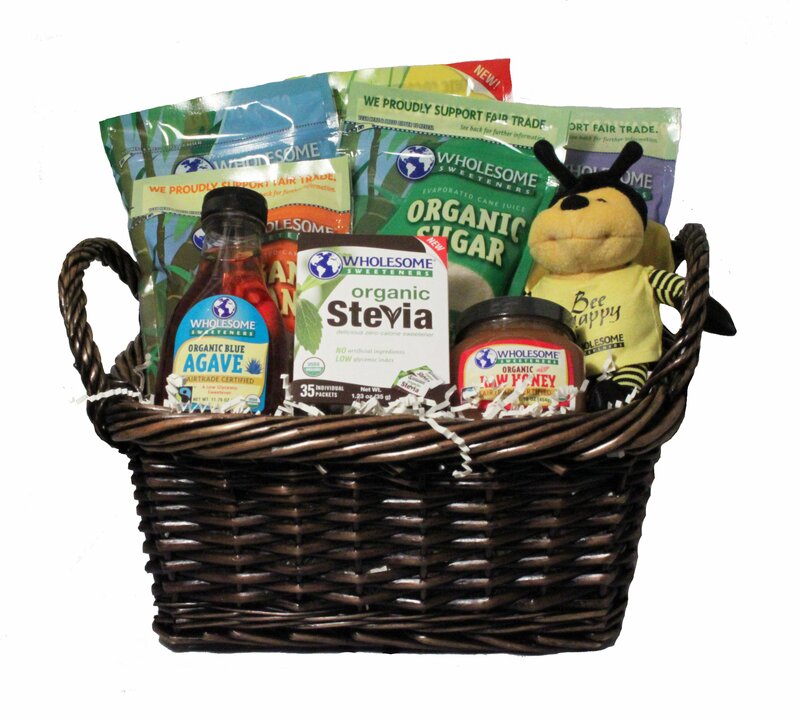 With all these great products, and this is only a portion, the little bee has made his way into my heart too. 😀 He has become my unofficial insect mascot in my little office/craft room. He joins my surgery pup hanging out with me. 😀 He makes me smile, probably because I love corny little puns and his shirts says ‘Bee Happy’. LOL. Again, don’t judge me. It’s the little things! I’d love to try the Wholesome Sweeteners Fair Trade Certified Organic Molasses. I use molasses for a few things, like dark rye bread, and this one looks great.